English-Slovak School BESST is a complex of schools from kindergarten to high school, where we are consecutively upbringing, educating and taking care of children from the early age of 3 years in kindergarten, through their years in primary and secondary school up to adolescence in high school. BESST is the only school in Trnava region, which offers education according to the international standards of Cambridge University. Our history began in the year 2009 and today we belong to the prestigious schools with a statute of a Cambridge International Centre, which allows us to provide education accepted throughout the whole world. The high quality of education process is accompanied by harmony, friendly atmosphere together with modern and comfortably equipped environment. The Private Bilingual High School BESST, Limbová 6051/3, Trnava was included in the network of schools and school facilities of the Slovak Republic on February 26, 2014. The start date was September 1, 2014. It is included in the network of schools as a high school with the field of study 7902 J 74 – a bilingual education with Slovak and English as languages of instruction. The high school is the continuation of education of the Private Primary School BESST, which is the best school in Trnava Region and the 5th best school in Slovakia thanks to the results of the all-Slovak ‘Testing 9-2016′. We build on experience. BILINGUAL EDUCATION Learning English is Amazing! English classes at BESST are fun and you also get to study other subjects like Biology, Physics, Mathematics, Informatics, Global Perspectives, Business studies or Accounting in English so you will have a wide range of vocabulary. We have native speakers for every English class, so you’ll learn the language and the culture. By the time you are ready to leave High School you will be fluent in another language which means that you have more doors open to you for the future. You’ll be able to travel, work and live in English speaking countries with ease! SMALL CLASSES Allowing for an individual approach-we always get help when we need it! For many subjects we differentiate students into groups – you will work and study with students who motivate you, challenge you and can help you, sometimes you will be the one who helps and inspires others. CO-OPERATION BETWEEN SCHOOLS Primary and Secondary School and High School have a great relationship. You’ll feel part of a wider network whilst at the same time being part of a close knit team. FANTASTIC FACILITIES Computers, interactive Smartboards and IPADS to enhance learning. INNOVATIVE TEACHING Teachers are up to date with the latest pedagogy and use technology to make learning accessible and fun. There is a focus on personalised learning, allowing each student to achieve their full potential. ACTIVITIES & TRIPS A wide range of activities and trip s to supplement learning; CERN, a partner school in Germany , Bratislava theatre and Adaption course to name but a few! AWESOME CLUBS There are lots of things to get involved with, whether you’re a budding entrepreneur, a wannabe Hollywood star or a Japanese linguist, there is a club for you! Some of them are even mentored by students! MOTIVATION SYSTEM Development of moral values as well as offering rewards for commitment and enthusiasm. SCHOOL BUS Travel to school with ease, using school transport. THE BESST FOOD Lunches here at BESST are really high quality and offer a balanced and nutritious meal. CAMBRIDGE UNIVERSITY INTERNATIONAL PROGRAMME Compatible with International study so you can easily transfer to university life abroad. Year 1: values — organizing, self-value, responsibility, cooperation, recognition and praise, curiosity, honesty, flexibility, initiative, sound judgment. Features of Ethics Education are embedded in our lessons; we teach our students to take responsibility for their own behavior and academic performance. We call our freshmen “start-ups”, we familiarize them with areas in which they could realize their potential and develop further – e.g. the student council and guest lectures delivered by experts in their fields of work. Year 2: attitudes – critical and inventive thinking, decision-making, problem-solving, adapting to new knowledge, creativity, collaboration. We have introduced curricular integration in our lessons – we teach the students to receive information critically, to evaluate it and to take a stand, to be active, curious, and initiative. We call our students “explorers” and we encourage them to look up, categorize, and creatively reuse information by themselves in their own lives. Our students can develop their personality and volitional qualities in the Duke of Edinburgh project. Year 3: actions – self-discovery, self-awareness, habits of highly successful people (proactivity, first things first, win-win thinking, …) and positively influencing the others. Year 3 students are our leaders – we support the development of their leadership skills, and we help them build their career and future. Thanks to the mini-Erasmus project our students can experience one week in the life of a university student, and they can get information on current trends in business and IT at the “Night of Chances” event. During the Maturita (School-leaving examination) week, three of our Year 3 students will have a chance to do an internship with a selected business – the students are selected on a competitive basis: the successful applicant will have to convince the potential employer that he/she is the right person for the internship. Year 4 students are “creators”. They create their own future and they have a chance to switch to the International Program Class. 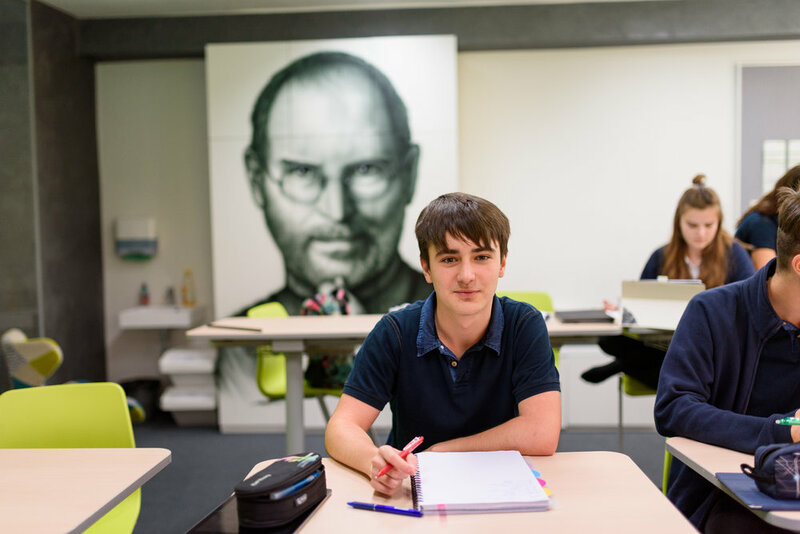 In this year the International Program students will be taking their first AS level exams from such subjects as Math, English, German, Biology, Business, and Information Technology. Just before the actual regional councilors’ election, there was a mock election that took place at our school. All students aged 15+ cast their vote using a ballot with real-world candidates and the results of all participating schools were processed and published. Twelve students participated in a week-long exchange stay in Germany; on the last school day before Christmas, our teachers will give their inspiring TED talks to our students. We offer our students the opportunity for self-actualization and self-development in various clubs. These clubs are run not only by our teachers, but also by our students for their fellow schoolmates. We evaluate Physical Education in a more detailed way – each sport-related performance is assessed in two ways: actual performance against the benchmark (lower weight) and student’s endeavor (higher weight). By this we prepare our students for the fact that aptitude without effort does not always mean success, in contrast with perseverance, patience, and effort that are qualities important for life and are heralds of success. Our high school is a logical continuation of the education offered by the BESST – Private Primary and Middle School. We build on experience. We make our school better, and our students better-prepared for their future jobs that do not exist yet. National requirements for a school leaving exam, which follow from the law and its later wordings: An Act No. 245/2008 Coll. on Education (the School Act), Regulations No. 282/2009 Coll. on Secondary Schools, Regulations No. 318/2008 Coll. for completing the study at secondary schools, Regulations No. 207/1993 Coll. in which there are details about equivalence of education documents and the requirements for recognition of equivalence of education documents given by foreign primary and secondary schools and the regulation from the Ministry of Education, Science, Research and Sport of the Slovak Republic for a given school year. International requirements for a school leaving exam, which follow the English tariff system for an apportionment of points for study results – so called UCAS tariff system. The number of UCAS tariff points which are given to students for their marks in tests in AS-level and A-level are the entrance requirement for the study at universities. It substitutes the entrance examinations for universities abroad. Universities and colleges release the entrance requirements for their undergraduate education and the particular universities can specify their own entrance requirements for the study in the concrete field of study. The Private Bilingual High School BESST is one of only a few schools throughout the Slovak Republic approved to administer exams authorized and accepted by the University of Cambridge International Examinations. University of Cambridge International Examinations provides the copyrights for the use of syllabuses and enables its registered centers to take exams up to GCE A Levels, which are the entrance examinations for the universities abroad. All students in the 3rd grade of the Private bilingual High School BESST pass IGCSE exams in Mathematics, English Language, Biology, Physics, and optional subjects. After the 3rd grade, students can attend the class within the international programme A Level or continue with the bilingual study. Students of the Private Bilingual High School have a school leaving exam in Slovak Language and Literature in the 4th grade of study. A school leaving exam in English Language and other 2 subjects is in the 5th grade of study. Students, who attend the class within the international programme have a school leaving exam following from the international programme. BESST Private Bilingual High School has been a Cambridge International School since the time it was established – September 1, 2014. Cambridge Primary for 7 – 11 year old students. Cambridge Primary is taught in more than 1,200 schools in over 100 countries. Lower Secondary for 11 – 14 year old students. Every year nearly 102,000 entries for Cambridge Lower Secondary Checkpoint are being received. Cambridge IGCSE is the world’s most popular international qualification for 14 to 16 year olds. It is taken in over 145 countries and in more than 6,100 schools around the world. 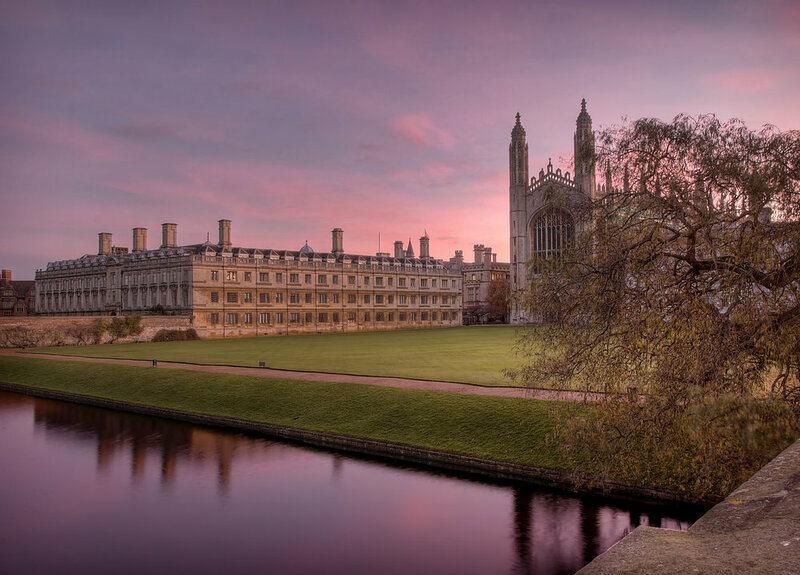 Cambridge International AS and A Levels are taken in more than 130 countries with more than 495,000 entries each year. BESST Private Bilingual High School offers all students the opportunity to take Cambridge IGCSE exams at the end of their third year of study. Students who choose to complete the International Program will undertake the Cambridge International AS Level in their fourth year; completing three Cambridge International AS Level Examinations and in the fifth year sitting for the Cambridge International A levels. • Cambridge examinations are marked by around 10,000 highly skilled examiners. • Approximately, 5.7 million question papers are produced each year. • 55% of pupils in English (native language) achieved mark ‘B’ or better. Studying abroad is a very attractive option for our students. In an increasingly global world, pupils of BESST International School will prepare for study at foreign universities. From their first year of elementary school to the last year of bilingual gymnasium, we aim to give our students the tools necessary to excel in the international world. There are 5 stages to this transition. The first three introduce pupils at primary school to the opportunities bilingualism will afford them-the fundamentals of grammar and communication; building confidence for the future. Then, at the BESST Private Bilingual High School, students will complete the last two levels - IGCSE and A-level; providing them with, not only an internationally renowned qualification, but also equipping them with the skills need for success in the 21st century. As part of the compulsory curriculum of the BESST Private Bilingual High School, we teach English, Mathematics, Physics and Biology; integrating the standards of the University for Cambridge International Examination alongside the standards specified by the Ministry of Education, Science and Research of the Slovak Republic. In addition, we believe in the growth of our students as individuals and aim to provide a range of options to ensure that every pupil is able to develop their area of interest. Current optional subjects include; Accounting, Business, Informatics, German, Global Perspectives and Psychology which are taught in line with the Cambridge University International Curriculum.